Mike and Sharon Dennehy were living the American dream. They were in love, had three children and a steady income. All it took was one black-and-white photo to change their lives. The caption read, “Boy with no arms in Romania desperately needs a loving home.” Mike and Sharon glanced at each other and they made arrangements to travel to Eastern Europe to the home of their soon-to-be adopted son, George. “We got this idea because we heard an amazing sermon from the book of James about being doers of God’s word, not just hearers. You can just sit and listen and go to church every Sunday, but if you don’t put it into practice, you’re not living the way you should. We realized we were just being pew sitters instead of doers.” Well, there are no better people to be doing ministry among than orphaned kids with special needs. At first, the thought of bringing disabled children into their already busy lives scared the Dennehys. However, all of those fears vanished when they saw that photo of George. George, who was born without arms into a poor Romanian family and couldn’t take care of himself, was severely malnourished and at 14 months, he weighed only 9 pounds. Today, as part of the Dennehy family, George is a healthy, young man who uses his feet to play musical instruments. In fact, he is soon to be married. After seeing George’s success and feeling the blessings he brought into their family, the Dennehys decided to adopt eight other children—nothing like going at it full throttle, right? There was James, without arms, he is from Bangalore, India. Caris from China has disabilities and so does Hope from Thailand, plus two siblings from out of state, and three sisters from Ethiopia. With 12 children and several dogs, the Dennehys household looks like a virtual meeting of the United Nations with kids of every color and disability that you can imagine. The thing I love about the example of Mike and Sharon is how their story serves as a model. Adoption is sort of a model of what God does for us, because we’re all out there, disabled by sin with no home and no hope and then God says, “Do not be afraid. You are no longer alone. I am going to rescue you; I’m going to bring you into my family. I will take care of you. I will be your Father and I will give you a home.” Isn’t that wonderful? And if God is so merciful to us, adopting us into His family, should we not be as merciful to children who have no hope and have no home? Some of the greatest lessons of life come through parenting. 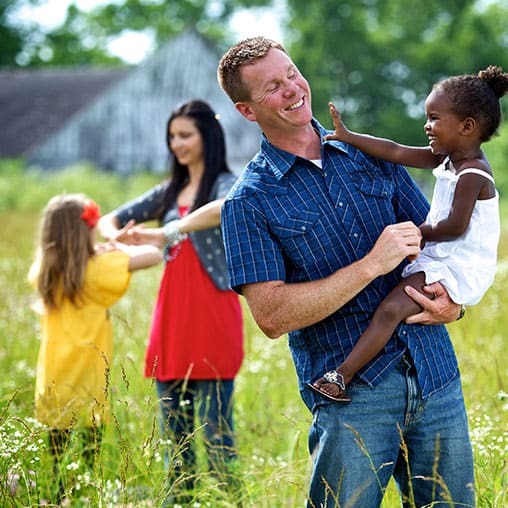 Michael and Sharon Dennehy, the parents of 12 children, nine of whom are adopted, have spent much time in life’s classroom and reflect on what adoption has taught them. Adoption has its challenges. Michael and Sharon Dennehy, known as the “United Nations couple” due to the number of international adoptions they’ve pursued, talk about the challenges and realities of adopting children with special needs. Have you ever considered adoption? 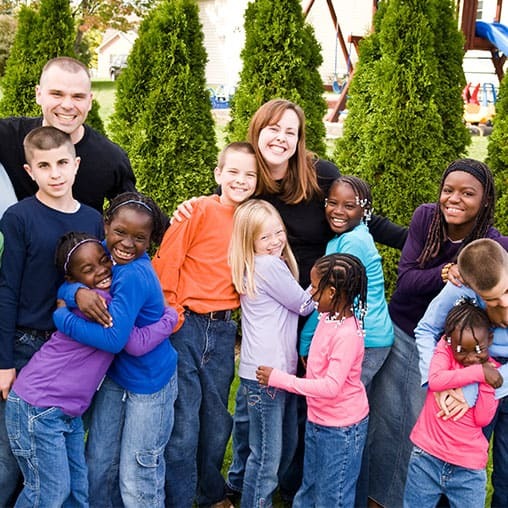 Michael and Sharon talk about the incredible family God designed for them, which includes 12 children, nine of whom are adopted and many of whom have special needs. Some of the greatest lessons of life come through parenting.